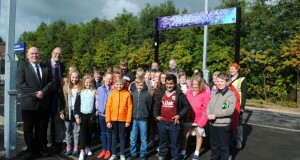 As part of the introduction of a new service from Blackburn to Manchester via the reopened Todmorden Curve West Curve, Rose Grove station received two extra trains per hour and became an interchange station for travellers from the Colne branch to connect with the new Manchester service. 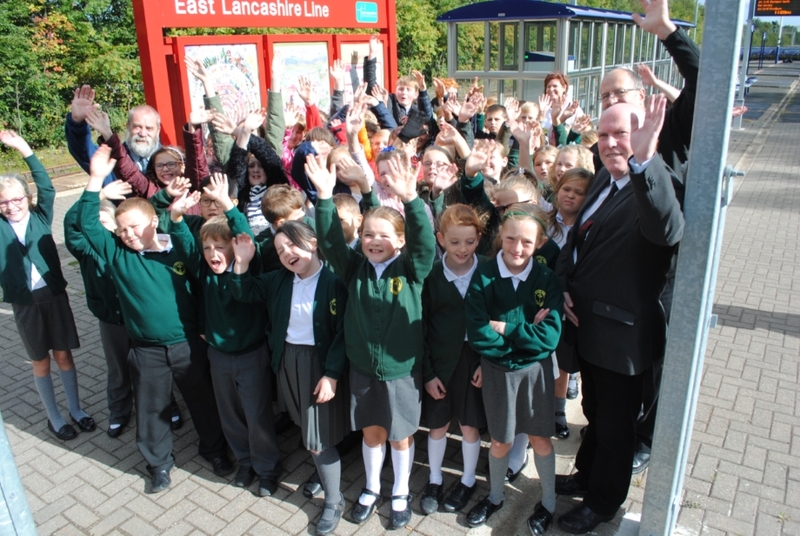 Lancashire County Council working with train operator Northern Rail carried out a £150,000 upgrade of the station facilities including new waiting shelter, additional platform seating, CCTV and an automatic ticket machine. 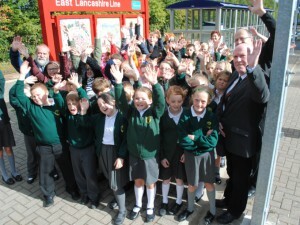 As part of promoting the new Manchester service CRL wanted to raise the profile of the Padiham Greenway which is a cycle/walking route that follows the course of the old North Lancashire loop line from Padiham to Rose Grove and to raise awareness to the inhabitants of Padiham that a new rail link to Manchester was available and readily accessible via the Greenway. 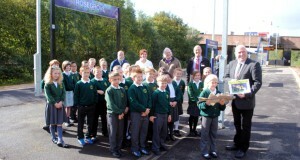 This not only raised the profile of the new service but also encouraged locals to cycle or walk the Greenway. 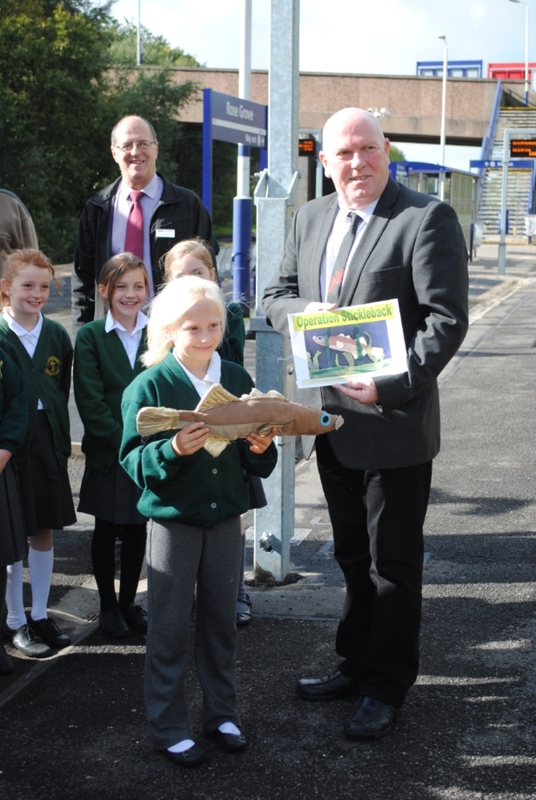 The children produced a map of the route which was included as part of a small colourful and attractive pocket timetable containing details of the new service. 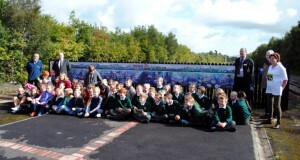 A huge piece of artwork using the children’s classwork was erected along the length of the platform end fence and running in boards on the same theme were produced. 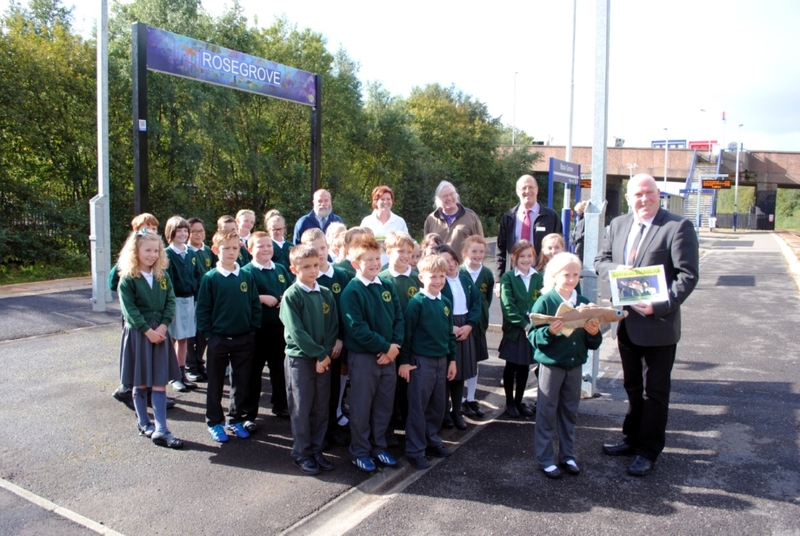 Rose Grove station is not easily visible from the access road so a steel sculpture was designed and fit at the station entrance to make the entrance more visible. 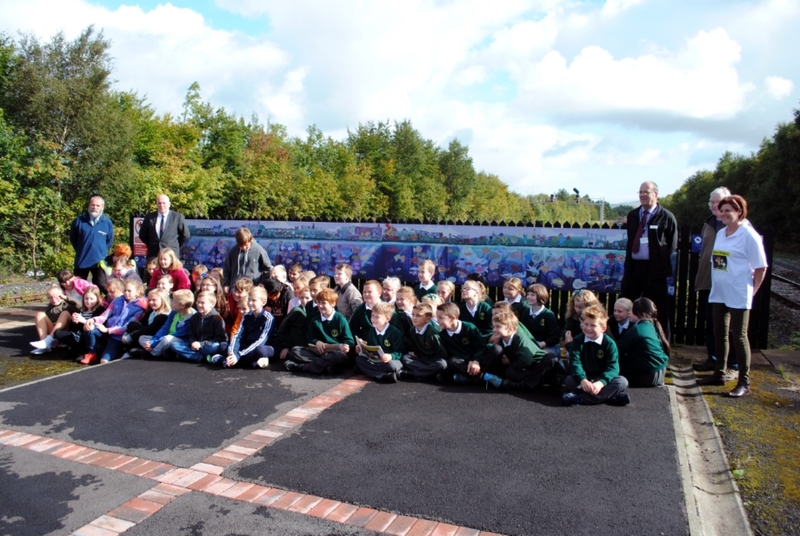 As a reward for their work both school were invited to make a journey from Rose Grove to Manchester via the curves. 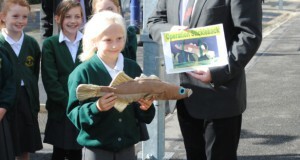 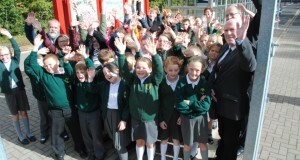 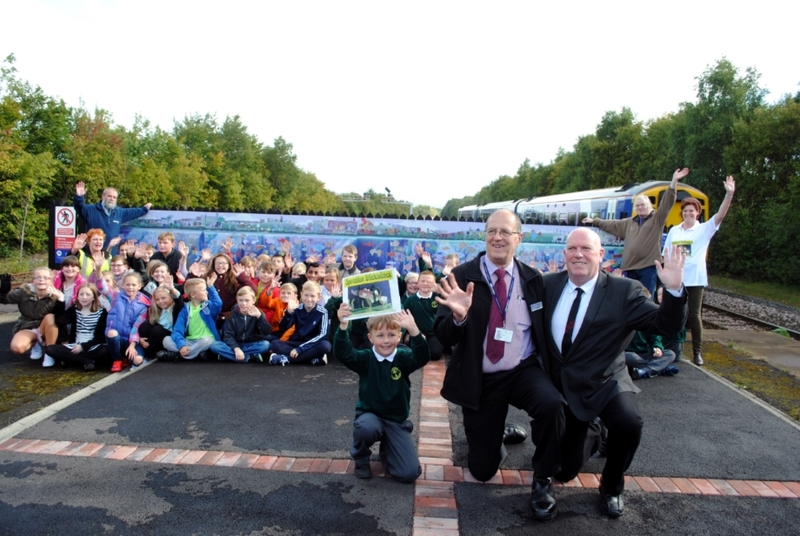 A launch day saw both sets of children gather on the platform along with local dignitaries to witness the unveiling of the art work and launch of the book which resulted in some very positive media reports in the local newspaper. 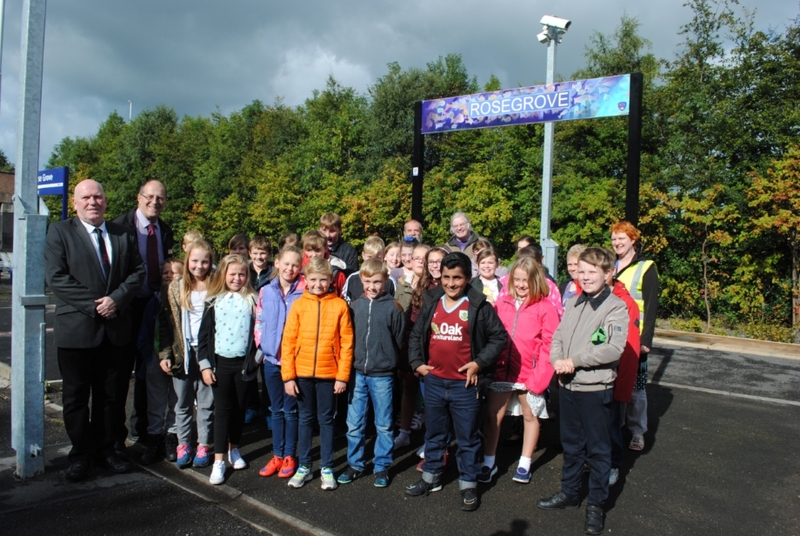 A new leaflet has been designed that showcases the work carried out as part of the Rose Grove Revived project and this can be downloaded by clicking this link: Rose Grove Revived.